Polyphony Digital has made the conscious decision to double down on improved frame rate in Gran Turismo Sport – just don’t expect the racing facsimile to feature dynamic weather when it launches in November. Word comes by way of GTPlanet, who conducted an interview with Polyphony CEO Kazunori Yamauchi. 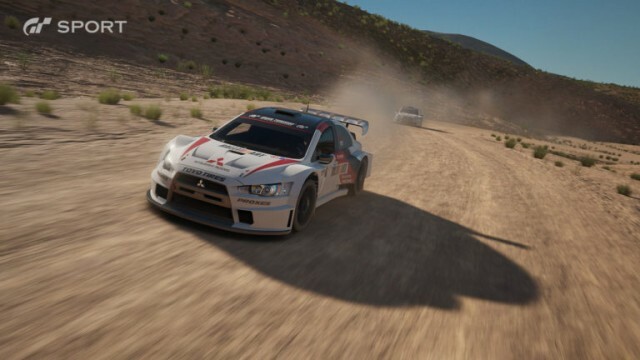 There, the series stalwart noted that due to the performance issues that surfaced in Gran Turismo 6 – issues largely attributed to the inclusion of dynamic weather – the creative team have decided to favor a smooth gameplay experience over added features. We opted to not have the transitions in the race this time in order to raise the frame-rate and the quality of the image during the race. So the user will be able to set that before they enter the race. So you’ll still be able to have night races, morning, races at dawn, dusk, and so on. Featuring a “level of innovation not seen since the first Gran Turismo,” GT Sport features more than 130 supercars to take out for a spin, not to mention the return of dirt tracks, Photo Mode and 4K support for in-game screenshots. Gran Turismo Sport is on course to hit PlayStation 4 on November 15 in North America, Japan and the rest of Asia. Those across the UK and Europe can expect the simulator to drift onto store shelves on November 18.